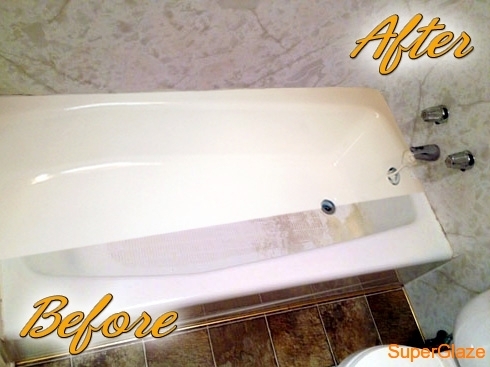 By far the most common service we provide to customers, bathtub resurfacing is a great alternative to costly fixture replacement. Check out our gallery to see just what it is that we do, how we can help you as well as why you should use SuperGlaze. Fixture replacement is the primary way that is used to resolve issues with appearance, functionality, or sanitary problems. When homeowners, landlords, and commercial building owners get estimates on these repairs they are often stunned to think about the thousands of dollars, the days or weeks of down time, and the frustration with dealing with multiple contractors to get a job done. Do-It-Yourself individuals feel the frustration of mistakes and miscalculations as well as the demands on a busy schedule. Resurfacing resolves almost all the same problems that replacement addresses, but it does it at a minimal comparative cost, and with much faster turn around times. 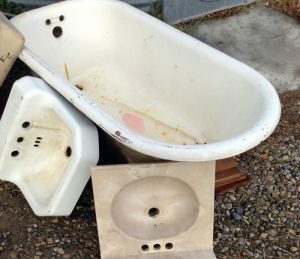 A bathtub can be resurfaced for around $350, and used the next day. High quality coatings provide lasting results, and can be applied around busy schedules. So, call SuperGlaze today for all of your fixture repair and resurfacing and avoid the high cost of fixture replacement. We guarantee your satisfaction at the quality of work and the price. Call today! © 2011- Super Glaze Serving Southeast Idaho for over 37 Years!